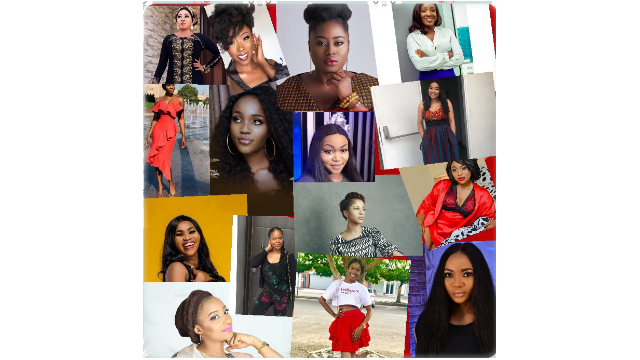 Over the years, lots of African actresses have spring up, inspiring lots of their followers , improving their acts and overcoming their challenges. This has of course paved way for younger, and newer actresses to come on board and do likewise. Toni Tones won the heart of many after featuring in award winning movie, King of boys. Toni Tones or Gbemi Anthonia Adefuye is a Nigerian photographer, singer and actor. She has appeared on TV and film and is known as a media personality in Nigeria. She has appeared as an actor in the Web TV series “Gidi-culture”; in several films including “Its Her Day” in 2016. She also starred in the movie “King of Boys”as the younger Eniola Salami. Actress Oyebade Bimpe popularly known as Mo bimpe is also a model and has featured in many bills adverts and campaigns. The good looking actress won the City People Movie Award for Best New Actress Of The Year Yoruba in 2018. Bukunmi Oluwasina is another fast rising Nigerian actress, movie producer, singer, musician, playwright, and model. She graduated from the Obafemi Awolowo University where she studied Theatre Arts. She is a versatile and talented figure widely known in Nigeria. The Nollywood actress produced a movie which trended in 2014, titled “Ayomi”(“My joy”). 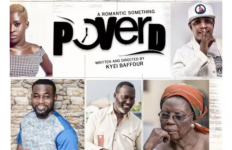 The movie was shot in July 2014 in Lagos, Nigeria, and officially released into the market on the 21st of September 2015. The young and optimistic Yoruba actress came into limelight right after producing this mind-blowing movie. Bukunmi Oluwasina is also known to partner with Pepsi, AVF, and Vivas for the premiere of Ayomi. The movie is so popular abroad that fans from outside of the country request for the soundtrack of Ayomi. Jumoke Odetola is a Nigerian actress. She started off her Nollywood career in the English-language cinema, before acting in several Yoruba-language films. In 2015, she won the revelation of the year category at BON Awards. Also, at the 2016 Africa Magic Viewers Choice Awards, Odetola won the award for best indigenous language film for her role in Binta Ofege. She retained the award in the 5th edition of the ceremony through Somewhere in the Dark. She also won the best actress in a lead role (Yoruba) at 2017 Best of Nollywood Awards in Ogun State. Jumoke Odetola became the Best Actress at the City People Movie Awards, 2018. Yewande Adekoya, is a Nigerian actress, filmmaker, director and producer. She began acting in 2002 with Alphabash Music And Theatre Group. In 2014, her role in Kudi Klepto got her best actress in a leading role nomination at 2014 Best of Nollywood Awards. In December 2014, she also won the “most promising act” award at Yoruba Movie Academy Awards. Her film Kurukuru earned her the best actress award at the 2016 ACIA ceremony. Jemima came into prominence after acting the role of “Leila” in Shuga. The actress is loved by fans and has featured in other great movies including Lionheart, New money,My wife and I and so on. Nigerian actress, model and television presenter, Zainab Balogun began modeling at an early age after being scouted at 16. She has been featured in several international campaigns for different brands. She co-founded “The J-ist TV”, an online entertainment web-series that highlights African culture and a range of topical issues; the series features interviews involving some of Africa’s top personalities. Having featured in several widely accepted movies, she won the future awards Africa prize for acting in 2018. Rahama Sadau is a Nigerian hausa actress. The beautiful actress won Best Actress (Kannywood) at the City People Entertainment Awards in 2014 and 2015. She also won Best African Actress at the 19th African Film Awards in 2015 by African Voice. In 2017, she became the first Hausa speaking female celebrity to appear in the top ten Hottest Female Nigeria Celebrities. Ruth Kadiri is a Nigerian actress, screenwriter and film producer. She ventured into Nollywood in the movie, Boys Cot and since then she has over fifty movies to her credit. As a screenwriter she has written and co-written several movies, some of which include: Matters Arising, Heart of a Fighter, Ladies Men, Sincerity, First Class, Over the Edge . Adesua Etomi is a Nigerian actress, influencer, and brand ambassador. In 2014, she starred in her first feature film Knocking On Heaven’s Door, and she won the Best Actress in A Drama award at the 2016 Africa Magic Viewers Choice Awards for her role in the 2015 romantic drama film Falling. Actress, writer, activist and producer, Lydia Forson is Ghanaian and she won the African Movie Academy Award for Best Actress in a Leading Role in 2010. Lydia Forson is also known for her great collaborations with actors and actresses of Nollywood, featuring in Nollywood award winning movies. Linda Ejiofor is a Nigerian actress and model known for her role as Bimpe Adekoya in M-Net’s TV series Tinsel. Tony Ogaga Erhariefe of The Sun Nigeria listed her as one of the 10 fastest rising Nollywood stars of 2013. Mide Martins is loved for her “no nonsense” roles and acting in Yoruba movies. Many of the fans of the pretty actress often praise her for good interpretation of roles. Beverly Naya is a British-born Nigerian actress. She won the Most Promising Talent category at the 2010 Best of Nollywood Awards. She also won the award for Fast Rising Actress at the 2011 City People Entertainment Awards. According to her, her goal is to build a brand and shoot more films. Mary Lazarus is a beautiful fast rising Nigerian actress and model. In 2018, Mary Lazarus won the City People Movie Award for Most Promising Actress of the Year (English). She has also featured in several Nollywood movies.